It's easy to fall privy to the notion that you need a lot of money and a lot of time in order to start your business. Well, if that were true, no one would start businesses, right? The fact is, having time and money is great, but building a business is usually the means by which we CREATE time and money in our lives. So how could you avoid starting a business just because you don't have those things yet? The will-be successful entrepreneurs are the ones who are willing to put in work up front without instant gratification because they know that what they are building could one day mean freedom and flexibility in their lives. Building an empire from the ground up isn't always beautiful or graceful, but it's worth it. If you can't see that, then entrepreneurship isn't for you. But if you CAN see that, you're going to like this podcast. 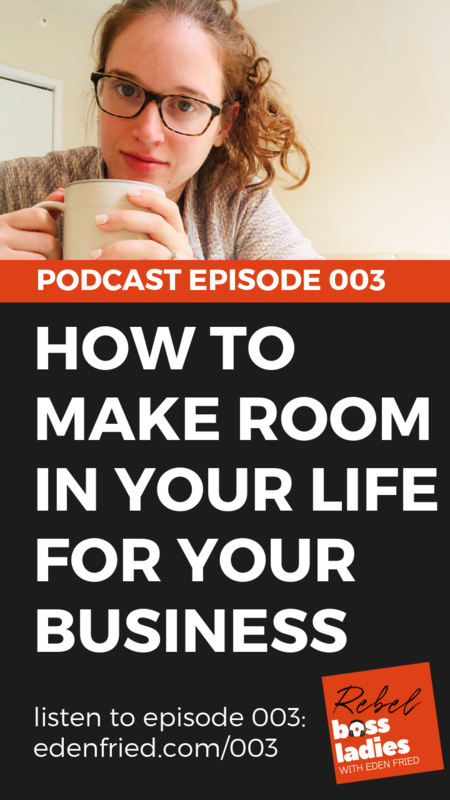 In episode 003 of Rebel Boss Ladies, we talk all about how to CREATE space in both your wallet and your schedule creatively so that you can build your business.